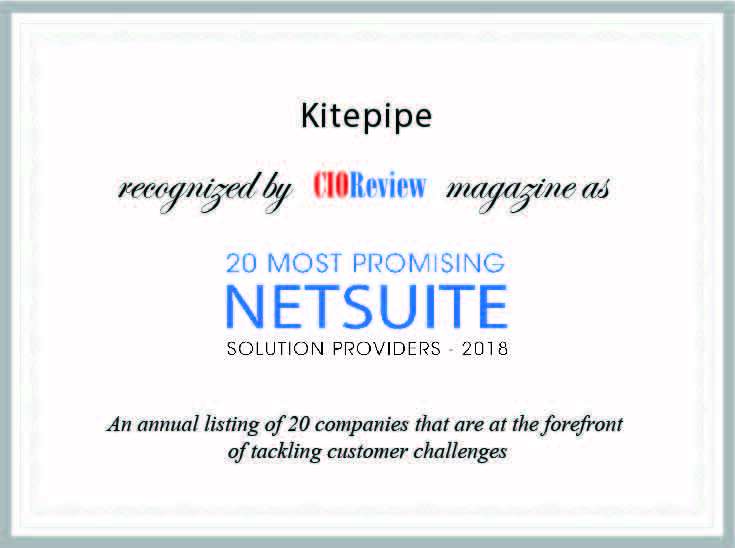 In the latest CIO Review, focused on Netsuite solution providers, Kitepipe was recognized as a leader in creating high value integrations using Boomi. The CIO Review issue focused on the Netsuite ecosystem. Netsuite customers find that as Netsuite becomes the focus for business transactions, integration becomes key to extend the value of the platform. The article begins with the story of Kitepipe customer Moderna, who supported their organizational growth using Netsuite and Boomi integrations. View the case here. "With their extensive experience using advanced NetSuite’s object, field, and workflow features to create seamless integrations, the Kitepipe team has helped numerous firms in different landscapes, most notably, in the tech and biopharma arenas. Cone feels that along with their deep understanding of the NetSuite platform, his team’s expertise in operationalizing successful implementations has also been a significant factor that has driven the firm’s significant growth." e-commerce order processing and employee onboarding." Kitepipe was founded as a cloud focused integration services team, dedicated to helping enterprises streamline operations exclusively with Boomi integration.